I’m back home in Colorado and my winter in Baja is now a memory. I see the shining seas and swaying palms, the Mexican rancho in the arroyo and my friend riding her horse in the soft sand along the beach. I can hear the breaking waves as I drift in and out of sleep, the stars are twinkling in the moonlight and a gentle breeze moves the shadows in ghostly rhythm with the night. But my body is here, not there. Today, I feel grateful and blessed, a creature on this planet Earth, living and breathing, laughing and loving, crying with the pain of others and coping with my own. Tears are signs that I’m alive, that life has touched me, that I am moved by the world’s passions, obsessions and compulsions, that I can feel the ride and embrace the shifting tides of my time here, my time here on this magical planet Earth. The ups and downs, the starts and stops, the endings and beginnings - it’s all part of the journey, the Great Mystery of life and death. Whether I’m south of the border or high on a snowy mountain, I can feel the pulsating heart of the Mother Earth and her breath in the wind and air. I drink her water and feed upon her fruit. I can feel the love emanating from her soul and, to all this, I surrender. And here we are, in the middle of Pisces, the sign of surrender and synthesis. It’s where we see and experience the interconnected web of existence that wraps its threads around us all and joins us – body, mind and spirit, heart and soul. Edges blend, boundaries disappear and all things merge in to One. It’s God and the Universe within and without, inside and outside, above and below, here and there, then and now. It’s the boundless, timeless, infinite and ultimate Divine Force, from where we came and to which we shall return. God bless and may the amniotic waters of the Pisces womb heal and nurture you – body, mind and spirit – as winter ends and you prepare for the radical, uplifting, birth of Aries spring. Good luck and may the power of surrender be with you! Wild, revolutionary planet Uranus moves into Aries this week and the world rocks. Transiting each sign for seven years, this heralds an extended period of awakening and radical personal change for the Ram. The function is one of revitalized authenticity and the means is unpredictable. One thing for sure is that it’s an exciting ride! Mercury and Uranus in early Aries shake up memories from the past, opening doors and windows on long-forgotten emotions. Stay in the present and feel your feelings; they are the golden keys to unlocking the secrets of your heart. Time travel gives birth to self-knowledge. Rest and relax, dream and explore the realms of spirit as you live here in the flesh. Working toward goals step-by-step, day-by-day is the most effective and efficient way to manifest your dreams. Cultivating maitri – compassion and loving-kindness for self – is the best way to achieve happiness. Focus on progress, rather than perfection, accept everything exactly as it is in this moment and cultivate attitudes of gratitude. The rest is easy, relax! There is rumbling in the sky and storm clouds gather as planetary movements portend upcoming professional change. Are you happy with your career and social standing or do you feel somehow down on luck and under the bus? Good news and good luck are on the way, but it’s going to take a rather shocking awakening to get over the hump. Jump! 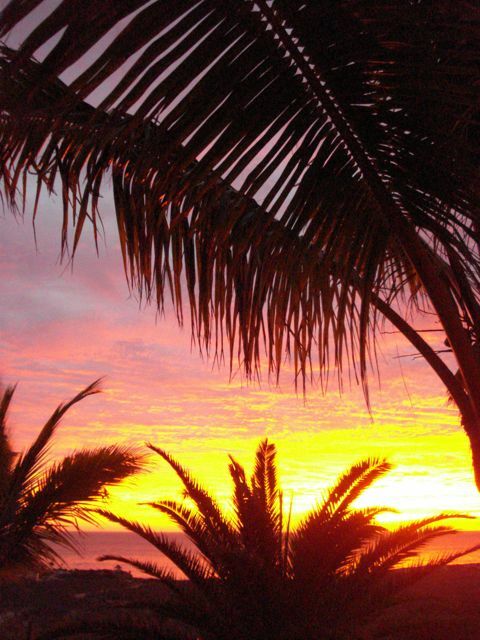 Thinking about tropical beaches and faraway places? While present moment shared involvement and responsibility may feel somewhat binding and controlling, you can look forward to shimmering seas and distant lands. Get out the books, do the research and prepare for travel. The world awaits discovery and you are headed for an extended tour. You may find yourself involved with others, working or living side-by-side and relating one-to-one. Whatever the manifestation, know that you are looking through the reflective mirror of relationship and there is a lot to learn. Everyone is in your life for a reason; teacher or student, master or apprentice. Accept the lesson and do your best, one day and moment at a time. Self-improvement continues as a theme but you can feel a rather subtle, yet strong, desire to look beyond the mirror of self-reflection for input and information. Ask questions and listen to answers. Refrain from negative thinking and cultivate pro-active, positive approaches to problems and puzzles. Maintain momentum and prepare for change. The game of predator and prey continues, who’s who and what’s what? Do your best to remain true to self, cultivate healthy boundaries and know when to say when. Obsession and compulsion are ultimately unhappy bedfellows in the romper room of love and romance. 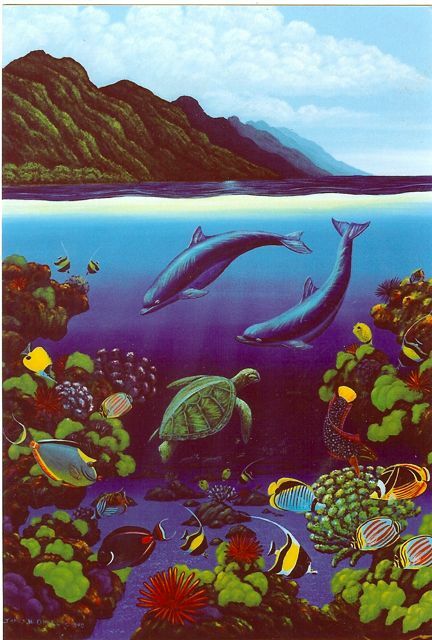 Indulge in fantasy and imagination, but come up for air once you’ve taken the dive. Childhood behavior patterns, family relationships and issues of parenting or authority are themes as the sun winds its way through sensitive Pisces. Refrain from over-reacting emotionally to mothers or fathers, keep a handle on reality and maintain calm amidst potentially stormy seas. Good luck follows those who forgive and move forward, let go and let God. Good luck Jupiter in action-packed, fast-paced Aries is exerting positive pressure on your personal style and self-image. Perhaps it’s time to cut your hair or change your look, do something fast and wild. These feelings and impulses are a foreshadowing of upcoming events and awakenings. Pay attention to what your heart says – it’s all about personal truth. The most dramatic astrological news this week comes via ruler Uranus as it moves into primal, self-fueled Aries. This celestial event heralds the beginning of a seven-year transformation of mental perception and ability. You will be picking up new, revolutionary information in ways you never thought possible. Stay awake and aware, you’re on the leading edge. Candles flicker and cakes are cut as birthday celebrations honor another revolution around the sun. Embrace your beauty and blessings as you see beyond the finite world to the glimmering lands of infinite grace and unlimited compassion. Living in love and finding forgiveness in the stormy seas of war and peace is challenging, but you are chosen. Be you. Change and No Change: Como es la Vida - Such is Life! I’ve been in Mexico now for over three months - the biggest chunk of winter – and I’ll soon be heading home. It’s funny to be back in a place I first came to over thirty years ago on my honeymoon, and returned to ten years later to live in winter for another ten. I’ve witnessed Cabo San Lucas change from a sleepy fishing village with a tuna cannery and a couple of restaurants, a small marina, a few Mexican hotels and a reputation for world class sport fishing into a megalopolis of condos, tourist shops, golf courses, resort hotels, gourmet restaurants, world class clubs, hot spots and multi-million dollar homes. 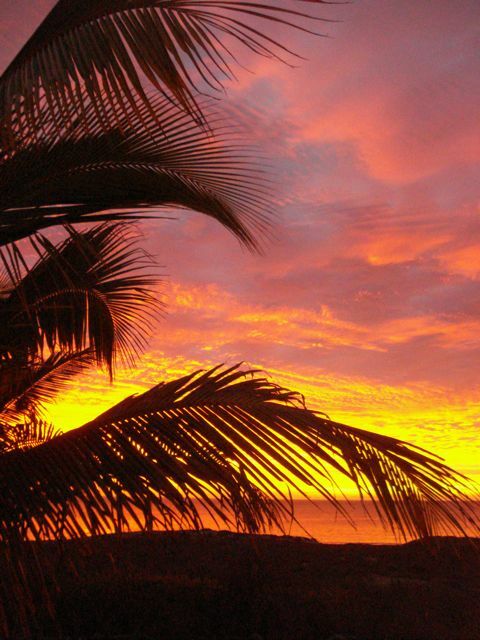 Over on the Pacific side, the laid back art and agricultural community of Todos Santos is thriving with new life, gringos and Mexicanos interweave and intertwine like the cotton threads of a hammock hanging beneath the swaying palms. Art galleries and shows, Buddhist sanghas and organic produce abound; the economy is strong and growing. It’s a long shot from the days when roosters roamed the ladrilla floors of the Hotel California and the pounding surf was void of surfers as far as the eye could see. Here on the East Cape, I see both change and no change. 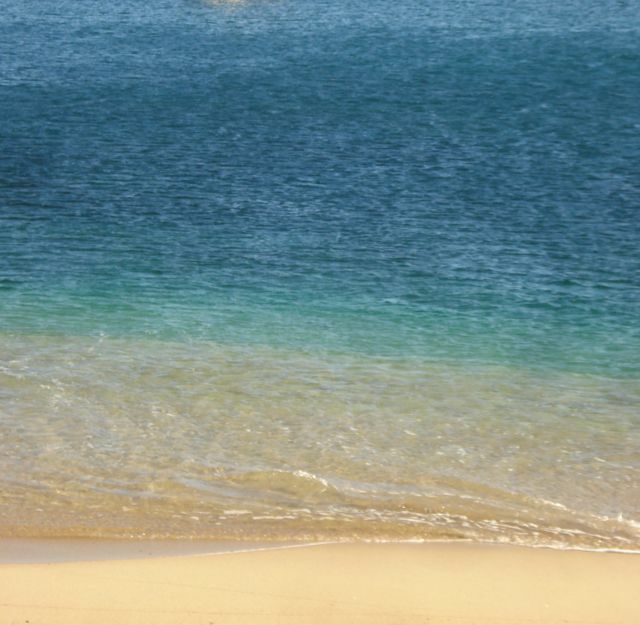 The wind still blows in winter, but there are also days of incredible bliss and grace, when the turquoise Sea of Cortez flattens and sparkles like glass. Whales breach and the snorkeling is delightful. And the beaches are still mostly uninhabited. 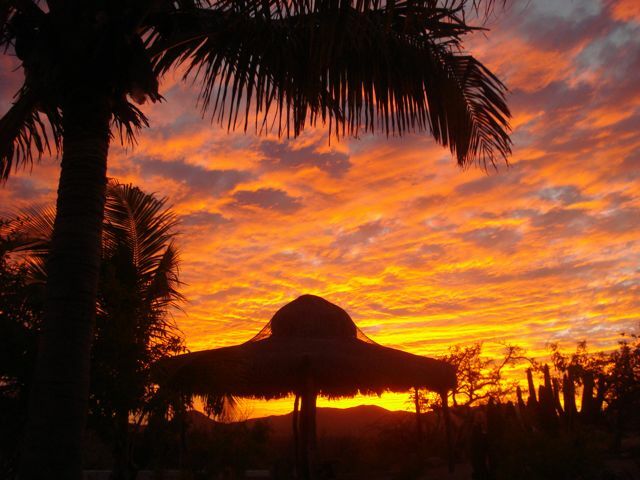 Cabo Pulmo is now a national park and the once awesomely abundant marine life is protected and coming back, but the casa and casita we once owned in the village is now a beautiful villa with and outdoor kitchen and decks for viewing the stunning sea and landscapes. Iguana Beach still looks like something out of a movie, the sea lions still have a colony on the point and the Mexican fishermen still have a working campo at Los Frailes. The dirt road along the coastline is still horrendous, the washboard still world class, and the turtles are still laying eggs in the warm, soft sand. The Mexican people are still gracious and embracing, the avocados and papayas sublime. 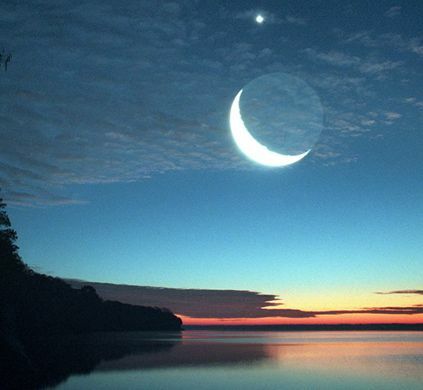 I wake up often before morning twilight to see the shimmering beauty of Venus rising above the ocean horizon. I know then that dawn will soon be breaking and the sky will be painted in orange and crimson. Change and no change, como es la vida, such is life. Thank you, Mexico, for your miracles, magic and magnificence. Vaya con la diosa! Drifting into the last zodiac month of the natural solar year translates as a time of rest and spiritual cleansing for the Ram. If you feel too busy to take a break, be well advised to find the time, regardless. It’s imperative that we balance business with pleasure and motion with relaxation. Seek out places and spaces of quiet and calm to regenerate and recharge. The Pisces New Moon begins a lunar month of heightened inspiration and aspiration for the Bull. Seek out people and places that you find uplifting and enlightening. Groups, associations and fellowships – brotherhoods and sisterhoods – are made especially for this type of thing. Also note the power of friendship and be the friend you want others to be for you. A fresh lunar cycle initiates a month of mental and emotional stimulation regarding goals and achievements. Great satisfaction comes via focus and production. Take a good look at technique and identify means and methods of improvement. Are you working diligently toward the manifestation of your desires or simply giving it lip service? Talk is cheap. Moonchildren are especially sensitive to lunation cycles and this week’s Pisces New Moon is no exception. Lucky you! The time has come for exploration and discovery. Open your eyes, heart and mind to the world in and all around you. Research travel options, seek out enlightening books or philosophies and embrace the expansive universe of knowledge. With so many planets swimming in the numinous waters of Pisces, you may feel as if you’re drowning in oceans of emotions or lost at sea in a tsunami. Whatever the manifestation, know that everything passes and the depths of darkness are always greeted by the brilliant light of day. Focus on forgiveness and compassion as you navigate the changing tides. The Pisces New Moon awards you with the fortuitous opportunity to modify and modulate your most important relationships and commitments. Listen – that means not talking while others are talking – to what others have to say. Ask about feelings rather than discussing thoughts and get to the heart of action and reaction. Focus on truth. The Pisces zodiac month and fresh lunar cycle illuminates paths of self-improvement and self-care for light and lovely Librans. Do the best you can to maintain a daily spiritual practice and establish programs of physical wellness and self-betterment. Diet, exercise and prayer or meditation are essential to your success. Do the work; reap the reward. The oceanic depths of Piscean emotion cools the volcanic lava of Scorpion passion, resulting in steamy vapors of mysterious intrigue and romantic attraction. You may feel more creative and excited than you have in weeks, ready to explore and express your heart. Take action when it comes to artistic and romantic desires, it’s time for courage and charisma. Take a look around your home and immediate environment. What do you see? Are you keeping a neat and tidy ship or living in squander and squalor? If there are shades of either, it’s time to clean up, shape up and tune up. There’s nothing better or faster for improving self-esteem than picking up and cleaning your living space. Do the chores and live the beauty. As the Sun and Moon conjoin in Pisces and initiate a fresh lunar month, take a good look at personal lists and agendas. Communication is a theme now and thoroughly contemplating what needs to be done – and writing it down – is the best way to start. Consider the basics, identify the objectives and understand the journey. Be impeccable with your word. With voluptuous Venus recently a guest in your sign, you may be feeling romantic and sexually aroused. If your old style of courting was one of looking cool and hoping the target would come to you, it’s time to change tactics. New energy dictates action on your part and a sweeter, kinder technique and touch. Follow your heart and gently pursue your passions. 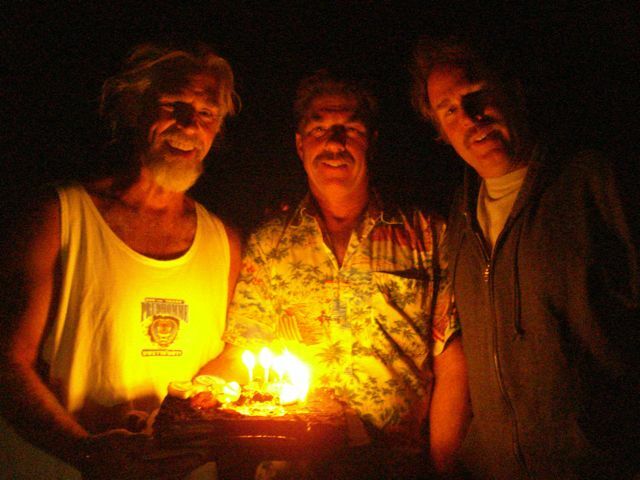 My husband, Richard, celebrated his 60th year on planet Earth last Feb. 17th under a full Moon, in front of a raging bonfire on the beach at Boca del Solado, Baja California Sur, Mexico. It was an evening made in heaven and blessed by the gods, the weather superb and the company divine. Two of his three brothers and their women made the trek; we had a celebrity guest of honor and his wife, along with some new gringo friends and four soldiers from the Mexican Army. I had wondered for months how this milestone party would come off. 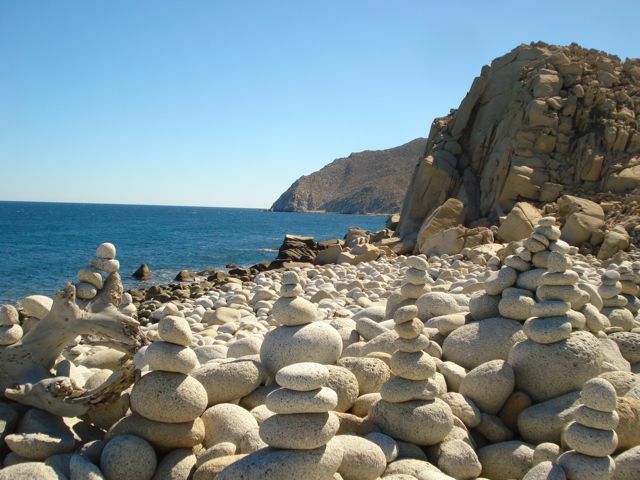 Inviting friends and family to the tip of the Baja Peninsula to celebrate a birthday – 60th or otherwise – is something that doesn’t result in a lot of takers. Early on it looked like we might have a rather large group, but in the end, the number came to ten – not including the Mexican army, of course! And so it was, intimate, and so, so sweet! And, que buena suerte! – what good luck we had! The wind stopped on Tuesday, Feb. 15th, when we all – three big labs included - drove first to San Lucas for breakfast at The Office and then San Jose del Cabo, to pick up the dark chocolate mousse cake I’d ordered at the French Riviera – a gourmet bakery shop there – for the big event. The thermometer hit 88º on the way home, but it was fabulous. After all, isn’t that what we’re hunting down here in winter? 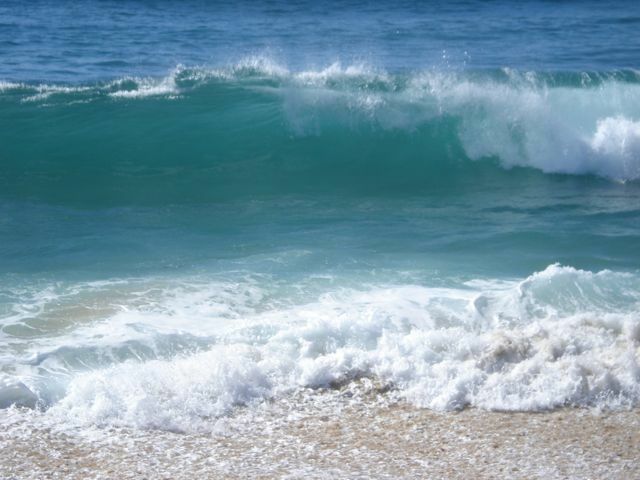 The next day dawned calm and muy tranquilo, delivered plenty of heat and was topped with a glassy, bathtub-like crystalline turquoise sea, magnificent for swimming. A true, fleeting glimpse of paradise for the birthday boy and his companeros, a veritable gift of grace from the Great Mystery. The Mother Earth, Father Sky, Grandmother Moon, Grandfather Sun and Great Spirit danced with us, touching our hearts with their laughter and soothing our souls with their love. And together, singing the magic songs of night and day, sand and sea, moonlight and starlight, we heard celestial music and the harmony of the spheres. Up above, in the heavens, Mars, Mercury, Neptune and the Full Moon/Sun opposition conjoined at the exact degree of my husband’s birth sign in late Aquarius - destiny at its best. Everything and nothing, here and there, everywhere - wherever we were - I’m sure it would have been the same. The awesome, humbling present of divine grace, for which we are grateful, humbled and blessed. Here’s to another revolution around the Sun. Happy Birthday, Ricardo! With the Sun, Mercury and Mars now in numinous Pisces, you may be yearning for some peace and quiet, but find yourself in the middle of a very active week. Use the hubbub and hoorah as a mirror of internal looking and spiritual awakening. This is a very special time of year when heart and soul calm down, seek peace and are nurtured by tranquility. The Pisces zodiac month is one of relative inspiration and hope for the Bull. Other people and places call out for attention and interaction. Seek out friends, groups, associates or associations that uplift your spirit or fortify good intentions. Compassion and kindness are golden keys to your happiness and serenity now. Cultivate inner peace and outer calm. With ruler Mercury now in mystical Pisces, along with Mars and the Sun, thoughts and desires turn toward the metaphysical and divine. You may feel the desire to transcend finite reality or yearn for a more idealistic world. This is a time of intuitive creativity, when images, information and inspiration come more via fantasy and dreaming than rational thinking. Jovial Jupiter in Aries squares passionate Pluto in Capricorn in a battle of wills, placing personal professional agendas in a position of compromise and challenge. Governmental, social or generational power may put pressure on or deny access to immediate gratification. Good luck follows consistency, however, so stick with the program. Stay cool and calm. The focus on one-to-one relating and shared responsibility deepens as you consider stronger commitment and intimacy. Whether it’s romantic, financial, business or friendship, remember that partnership is a potential risky step in any situation or scenario. Use intuition, truth and honesty as tools and be sure to read the fine print before signing up. With the Sun now above the astrological horizon of your solar chart, you may be feeling more social than you have in months. Get out and explore your world and neighborhood. Established relationships are in line for expansion and growth, travel with companions to places you’ve never been and share the magic of discovery. Keep your eyes and mind open. As Saturn continues to retrograde through the middle degrees of your sign, you may be feeling more serious and realistic than you have in years. Commitment is a magical tool when used with focus and desire. Continue to work on creative, artistic projects via self-discipline and diligence. Patience is a virtue and perseverance furthers. Dreamy, steamy Pisces energy harmonizes and supports the profound depth and intensity of Scorpio, uplifting the spirit and fueling desire. Creativity and personal programs of self-improvement are favored as matters of love and romance take center stage and you want to be and look your best. Smile and count your blessings, for you are blessed! Home, family and personal behavior patterns are focused upon as the transiting Pisces sun illuminates your solar 4th house of origins and foundations. You may feel or act like a child, parent a parent or simply examine childhood patterns and history. Whatever the manifestation, take good care of you and your loved ones, self nurture and nourish. 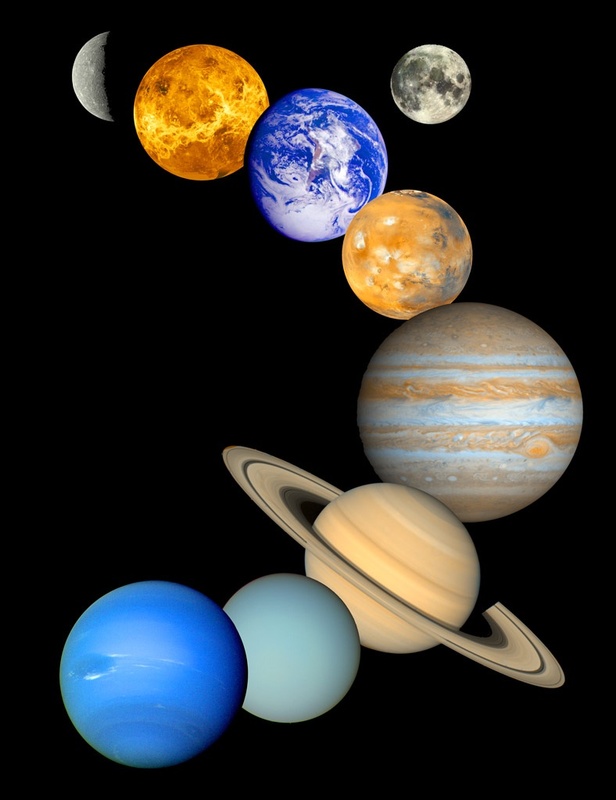 Giant planet Jupiter squares puny but powerful Pluto in your sign this week, challenging personal desires and agendas. The great gift here comes via faith and optimism. Think positive and cultivate attitudes of gratitude. The universe provides you with everything you could ever want. If you need something, just look around and you’ll find it. As you take the first steps in your personal solar year, recognize the awesome power of choice. What you think, what you say and what you do is ultimately a choice and responsibility. By cultivating personal awareness and taking daily inventories, it’s possible and probable to significantly improve happiness, health and wealth. Stay awake and be aware. Happy birthday month to compassionate, creative, intuitive Fish! It’s your time to shimmer and shine. With Jupiter’s recent transit through Pisces, you should be feeling good and reaping the benefits of a year full of exploration, expansion and growth. Take some time to check in with your heart, feel your feelings and move forward with confidence and courage. A rather unusual planetary gathering takes place this week in the late degrees of air Aquarius. The early hours of February 18th bring us the fruition of the February 2nd Candelmas/Groundhog Day/Chinese Lunar Year New Moon at 29º Leo/Aquarius. Then, during the afternoon and early evening of February 20th, Mercury, Mars and Neptune conjoin at 28º Aquarius, delivering an extra-powerful cosmic punch of the characteristically unpredictable and enigmatic Aquarian energy that often manifests in a snap-crackle-pop kind of way, resulting in radical breakthroughs and revolutionary awakenings. You may suddenly perceive the world differently, as if you are looking for the first time through a multi-dimensional lens of colliding colors and depths, allowing you to really see. Other people and relationships – social and intellectual connections – play starring roles in the pantheon of energy, experience and information that presents itself this week. We are being asked to combine intuition and compassion with intelligence and emotional detachment when it comes to anything and everything involving ego, self will and self-importance – yours or anyone else’s. This is a highly evolved and difficult to negotiate assignment that must be taken with an open mind, a courageous heart and a healthy dose of humility. Otherwise, we may find ourselves dazed, confused, hurt and humiliated, raging at the wind or angry at the world. The good news of this wild and wacky configuration is the message that everything – planets, people, plants, animals, oceans, emotions, thoughts and ideas, words and deeds are all interconnected and intertwined in a cosmic dance of give and take, stop and go, war and peace, love and fear. The energy we put out as individuals affects the whole; we are not alone on this earth, in this galaxy or universe, on this block or in the neighborhood. Each of us has to choose - good or bad, positive, negative, toxic or tonic? So, here we are, today – now - looking in the mirror and seeing, perhaps for the first time. What do you see and how do choose? Poignant ends and powerful new beginnings continue as the Chinese New Year lunar month comes to fruition at 29º Aquarius. You may see some of your most cherished hopes and dreams change in scope and size as you move in the groove of the present. Millennial motion is a theme now and giving your special gifts to the collective brings great rewards. Major, major emphasis in late degree Aquarius focuses great attention on professional goals, social standing and personal achievements. Others are watching and it’s imperative to do the absolute best you can. Refrain from harsh judgments of yourself and others, however, as one’s personal best changes from time to time and it’s really all about effort. Be cool. Some very important spiritual possibilities and realities come to a head as several planets join force in late Aquarius. This is a time of great epiphany and breakthrough as long as you let go of attachments, detach from outcomes and entrain with the universal flow. Listen to the wind, look for omens, hear the messages and read the writing on the wall. Many planets gather in opposition to the Moon this week and, in the process, Moonchildren discover just how deeply involved they are with others. Your most intimate relationships are being exposed, examined and enlightened. Remain open to all possibilities and close no doors when it comes to sharing. Just maintain those healthy boundaries. It’s as if you’re being called upon to join a fellowship or enlist in an enlightened brotherhood or sisterhood. Shake hands, embrace friends and remain open to all possibilities in relationship as you move forward toward your future in the vibrant present – one moment at a time. Life is often a recollection but you are requested to be here now. Carpe diem. Before the Sun crosses over into the numinous waters of Pisces and its oceans of emotion, check in with your heart and head. Internal dialogues may be brutal and need to be cleansed. Are you feeding your mind with toxic thoughts or cultivating nurturing, healing feelings in your heart? The cosmos are calling you to stay present, focus on one thing at a time and finish what you start. Self-improvement is the golden key. Use it. Wild and wonderful creative impulse and ideas manifest as the mental Mercury and motivational, passionate Mars join force with ethereal Neptune and the Sun in your solar 5th house of personal inspiration and heart. Write, paint, draw, dance and sing. Embrace the universe and play with the stars. Romance and love inspire artistic expression. Enjoy life! Domestic life, family relationships and your immediate physical environment play with your heart and head as planetary power gathers. Discuss emotions and feelings with those closest to you, take action regarding personal emotional health and let go of codependent behaviors regarding others. Cultivate faith, self-forgiveness and inner peace. You may feel highly motivated to act upon thoughts and ideas this week. Just make sure you look before you leap. Perceptual antennas are tuned to celestial wavelengths and cosmic frequencies - be extra careful in the translation. Pay attention to synchronistic events and unusual circumstance as revolutionary information is being transmitted. Look and listen. Personal responsibilities and resources play a major role in a week of evolutionary breakthrough regarding monetary income, security and stability. Utilize skills and natural abilities to create a more efficient and effective process of production. Letting go and going with the flow is powerful magic now. Focus on management rather than control. As Mercury, Mars, Neptune and the Sun oppose the Moon; take a good look at yourself and your actions. How are you feeling and what are you doing? How do you experience others and their reactions to your acts, words and deeds? This is an incredibly powerful week for self-reflection via the mirror of your relationships. Get out the Windex and take a look. 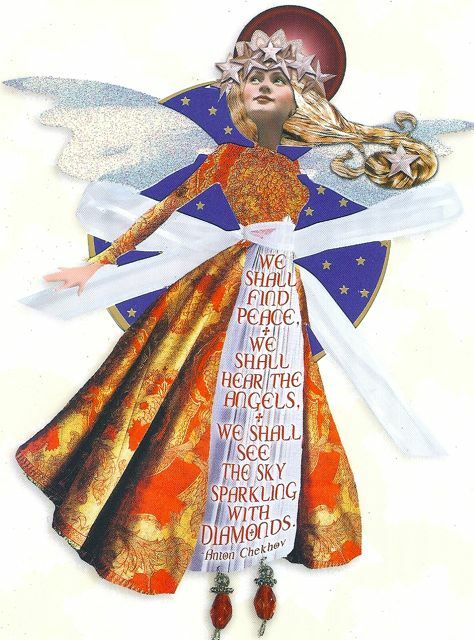 Angels, spirits and invisible forces dance and dine with you this week as planets shimmer and shine in your solar 12th house of the divine. Be extra cautious with your words and deeds. Take the spiritual oath to “do no harm” and travel the path of loving kindness and compassion. An important two-year cycle is ending. Focus on inner and outer peace. As we move through the last week of Aquarius and venture ever closer to spring, solar rays become more direct and days grow longer. We have passed the February mid-winter cross-quarter mark and drift toward Pisces, the final zodiac month of the natural tropical year. Seeds of hope and inspiration float upon proverbial horizons, we are being awakened to metaphorical ends and new beginnings. It’s time to look up and all around us, check in with what’s going on inside and outside, step out of the past, embrace the present and center ourselves in self-awareness. Self-awareness gives birth to self-knowledge and self-knowledge awakens our personal power, an unremitting ally in the spiritual warrior’s journey on the path of heart and soul. And the fixed-air sign of Aquarius is all about knowledge, spirit and heart. It’s the archetype of the individual in the collective, the unique contribution that each one of us gives to the whole - the unusual idea, the special gift, the act of kindness or the endearing art of friendship. Loyalty, camaraderie and fellowship are Aquarian ideals; revolution, rebellion and invention are its means. 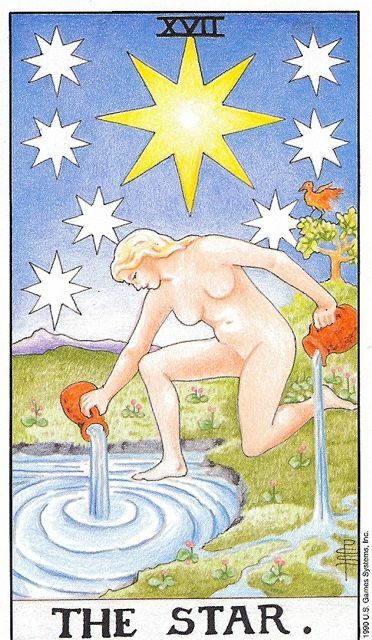 In this wild and wacky world, with Uranian change as an ever-constant companion, let us be blessed with the enlightened detachment and inspirational heart of the Waterbearer. Surround yourself with people, places and things that inspire and uplift your spirit and strengthen your resolve to make yourself and this Earth a happier, healthier place in which to live and grow. May peace, love and joy be our friends and companions, the sun, moon and planets our guides and the ever-expanding possibilities of the ever-expanding universe be the numinous amniotic waters in which we birth our dreams. Voluptuous Venus conjunct secretive Pluto in calculating Capricorn works both ways as powerful professional possibilities present themselves. Are you ready and willing to take the offer and go the distance or are you happy with where you are? Maintain calm and composure, cultivate patience and focus on balancing the equations. As Chinese New Year marches on, the focus on achievement continues. It’s time to see the forest for the trees and look at the bigger picture. Rise above your life and see yourself from birth to now. Look how much you’ve done and accomplished! Focus on your positive attributes and creative abilities and just keep going. On Valentine’s Day, be sweet! Jovial Jupiter in early Aries and the advent of another lunar year portends great good fortune regarding hopes, dreams and visions for the future – as long as you surround yourself with winners, rather than losers. Now, and for the next several months, you are being encouraged to expand your circle of friends and associates to include the best. Do it! While Valentine’s Day doesn’t always live up to our specific expectations, remember that it’s more about giving than receiving. It feels fantastic to create handmade cards, bake a cake or cook dinner for those you love. And, it’s not just about romance – it’s more about friendship and camaraderie. Make it a day to love and simply love the ones you’re with! Motivational Mars in Aquarius, along with the sun, pull others in your direction. Partners may feel pushy, exhibit anger or excitement in relation to your actions or behavior. Stay as calm and cool as possible, focus on practical solutions and discuss strategies that work. Practice self-improvement and self-care for happiness and health. Seize the day. Great romantic and financial opportunities arise as velvet Venus and passionate Pluto come together in your solar 5th house of love and creativity. Smile your sweetest smile, be calm and practice patience as you sit back and watch the universe deliver the goods. Trust and faith are allies now, cultivate self-discipline as you travel the road of spirit. Rest and relaxation are important aspects of your health, wealth and happiness. Make sure you find the time for both this week. Listen to your heart and be as sweet and kind to yourself as you are to others. Critique your domestic environment and identify ways to make it more serene. Love is found close to home. Share valentines in peace, grace and bliss. Somewhat challenging or dynamic opportunities present themselves as valentines coming knocking at your door. Practice patience, cultivate calm and refrain from wildly emotional or irrational behaviors – no matter what. It’s time to show others just how practical and realistic you can be. Acceptance is the answer to all your problems today. Accept what comes. Thinking, talking and traveling with friends and/or associates is likely to be necessary and significant this week. Work on communication skills via listening and pay attention to what others have to say. Also be aware of subtle gestures, symbolic messages and synchronistic events. The universe and cosmos are sending you signals. Watch for signs and omens. Mental Mercury and voluptuous Venus in your sign promise an active week intellectually and physically. Add intense Pluto to the mix for more depth, passion and power. Temper emotion with detachment and recognize the difference between what you can change and what you cannot. Relax in the process and transform according to cosmic plan. Candles flicker and cakes are cut as you celebrate the miracle of birth and life. One year older and another age wiser, as they say. Be sure to do something meaningful and personally enjoyable on this special day, as it is known to be somewhat of a foreshadowing of the upcoming year. Choose worthy companions, eat nutritious food and do what feels right. Friendly calls, texts, cards and emails are avenues of expression as the valentine holiday sparks the desire to communicate with those you love and care about. Keep it sweet and refrain from any negative comments or nasty tirades. Love and laughter are allies but sarcasm and bad memories are not. Focus on the positive aspects of your life and times. Enjoy the joy. Cynthia is a third generation astrologer living in the high mountain desert of the American Southwest. Visit her website @ www.alacazem.com. 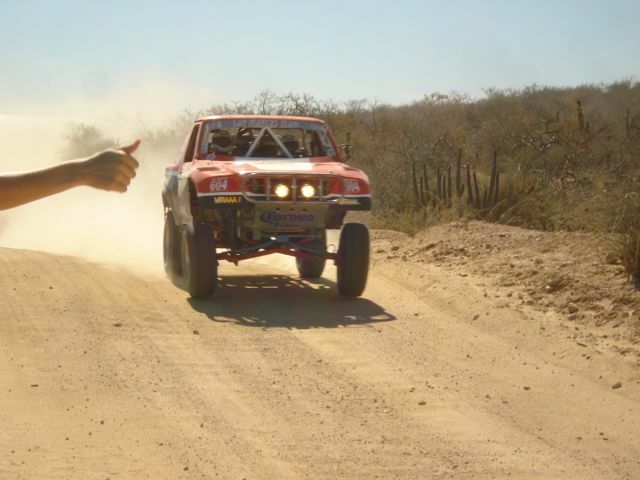 Last week I watched a preliminary running of the Baja 1000 – a famous off road race that takes place each year in the rugged deserts of Baja California, Mexico. We had motorcycles, ATVs, trucks and dune buggies cruising past our casa at breakneck speeds in the attempt to garner points to qualify for the ultimate day of racing competition. Mexican families and curious gringos lined the bumpy, washboard dirt road, giving drivers thumbs-ups, sharing laughter and making big eyes when a vehicle slid sideways or caught big air. From the pila up on the hill, we could see a wide expanse of the course winding its way along the coast, over hills and down arroyos, dirt rising like plumes of smoke in the distance as the racers traveled closer. Standing on the road, dust flew and metal rattled, tires gripped and drivers bounced, waving to the crowd as they passed by. The day was hot and sunny, the entertainment superbly macho. And, today, it’s Chinese New Year – the Lunar Year of the Rabbit 4709. The race is a happy memory and time is marching on. Nights are black and filled with stars, as the days grow longer. Today the wind is blowing, air is cool but the sea is still an awesome turquoise blue. 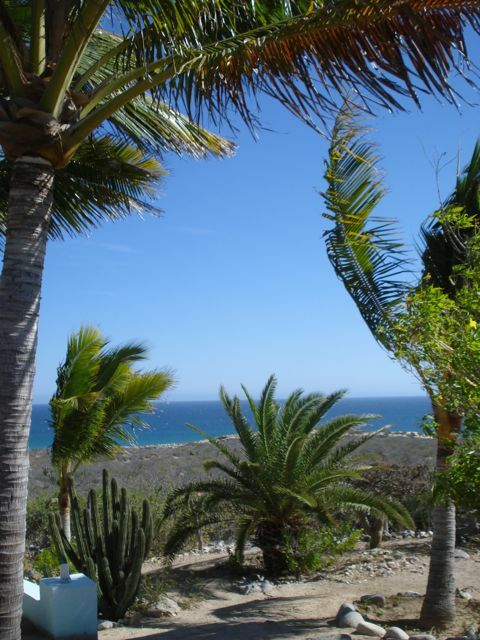 I no longer have the luxury of in-house Internet, like I did in Todos Santos, and I’m far removed from what’s going on stateside – or anywhere else beside here – and yet, I know it’s all going along as always, just fine without me. I ran into a friend on the beach a few days ago that said there was a big social-political ruckus happening in Egypt. Something about a democracy that really wasn’t a democracy and the people were uprising, but the government had shut down all communications until they got things under control. Don’t know anything about it…and it makes me wonder, what’s really important? For each of us, the answer to that question is unique, and no doubt changes from day to day, minute to minute. I know I’m happy and healthy, grateful and blessed, living life one day at a time, as well as I possibly can. Another Chinese New Year and fresh new lunar cycle presents me with another opportunity to start again, begin anew, readjust my perspective and do the best I can to pit myself against myself and work on self-improvement. And air Aquarius gives us great new hope and encourages us to surround ourselves with people of sound mind and good spirit, people who uplift and inspire us, people who share our dreams and visions of the future, people who speak the truth and aren’t afraid to stand up for their beliefs. So, here we go, another zodiac month, lunar month and lunar year. Good luck, and may the quickness of the Rabbit and the genius of the Waterbearer be with you. Happy Chinese New Year! A fresh new Moon, the winter cross-quarter day and Chinese New Year mark this week as one of great cosmic magnetism and kinetic force. Nice it’s all happening in air-Aquarius, feeding Aries fires with flames of hope and inspiration. Focus on optimistic thinking and right action. Surround yourself with people you admire and respect. Go forth with goodness. The Chinese New Year initiates a powerful cycle of personal and professional achievement. As you reassess and restructure the roles and responsibilities in your most important relationships, take a good look at what you want to accomplish in life. The only way to change others is to change your own action and behavior. Consider the options and try a few. Strong air energy this week fans the flames of inspirational thinking and artistic desire. The good news is that you are feeling more serious and self-disciplined than you have in years. As a result, you are now capable of manifesting those wildly creative ideas and finishing the projects you’ve been working on for years. Keep the faith and do the work. Chinese New Year 4709 is based on an ancient lunar calendar, one with which Moonchildren are inherently in synch. Therefore, this week is one of cosmic coincidence and vivid vibration. Pay close attention to intuition and feelings of déjà vu. You are interfacing with powerful people and potential. Balance harmony with rhythm and dance to the music. A fresh lunar month and Chinese New Year in your solar 7th house of marriage and important others favors radical new beginnings in your relationships. Wipe the slate clean and be willing to start over when it comes to commitment. Recognize your part and accept total responsibility for it. Do as you want others to do. The rest is easy. Both Mercury and Venus change signs as the Chinese New Year of the Rabbit begins. This translates as a time of transition and metamorphosis, when spirits assist and support movement and growth. Keep internal dialogues focused on your own self-improvement and self-care rather than running at the mind about others. Love is the answer. Love it all. A plethora of cosmic activity in your solar 5th house of love and romance stirs the heart and inspires the spirit. It’s time to create and live life to its fullest. Do what feels right and move in directions that feel good. Write, paint, draw, compose, explore and experience. Hug and kiss, share ideas and have fun. Count your blessings and spend time at home sweet home. You may feel challenged by or strongly attracted to relationships and issues of home and family. Start fresh and begin anew whenever in question or doubt. History is simply a story and the present is a gift – it’s time to move forward. Kind words and sweet talk are magic. Live each and every moment of your precious life - create the future in the now. Air Aquarius feeds Sagittarian fires of mind and heart. Watch the weather and listen to the wind. Hear the message and read the handwriting on the wall. Cosmic consciousness calls you to reach higher and see further, beyond the present horizon. Global and galactic, you are once and always a warrior of spirit. Do your best, one day and one moment at a time. Voluptuous Venus enters your sign when the Moon is new and the Chinese Year of the Rabbit begins. This fortuitous occasion marks the start of a prolonged period of spiritual awakening and infusion. You are being called to do the inner work that opens doors to angelic realms and divine experience. Cultivate golden humility and practice the art of peace. Happy Birthdays continue for humanitarian Aquarians. Light the candles and cut the cake in honor of another revolution around the sun. Celebrate the great good fortune of your life and times. Reach out to those less fortunate or awakened and lead by example. Share the wealth of knowledge via humble acts and loving-kindness. The time is now. Plenty of planetary activity in your solar 12th house of spirit sparks the soul and awakens you to the numinous and divine. It’s time to remember from where you came and to where you are going. Full circle, from life to life, from the cradle to the grave, we come and go. What lies beyond the beyond? Breathe in and listen to your heart. Feel peace and live in grace. And What About Ophiuchus, the 13th sign? Last week I addressed the media whoopla and collective attention concerning what is generally known as one’s “sun sign” – the astrological identity we are given according to our day and time of birth. Word on the street has it that due to some recent scientific discoveries, we have to “change” our sun sign. If you’re wondering about this, check out my column last week on either here on my website or the astrology page @ www.tellurideinside.com. You’ll find a brief explanation of the difference between the astrological Tropical Zodiac used in the Western world and the fixed-star Sidereal Zodiac, used in Vedic astrology, which is practiced in India and much of the Far East. But, this week I’d like to address something I’ve also been asked about a lot lately - a mysterious 13th “sign” - a “new” constellation that “really screws everything up” and “changes the zodiac” even more, causing one’s astrological sign to be even further off kilter and, according to the good ol’ word-on-the-street, even more irrelevant. God bless and may the peace and grace of the stars embrace and guide you on your Earth walk. 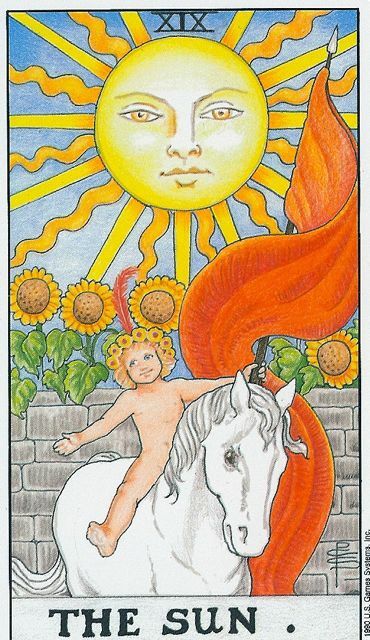 And, don’t forget to enjoy your sun sign along the way! Jovial Jupiter and wild Uranus have been dancing on the cusp of Pisces/Aries since the spring of 2010, flirting with but somehow directing you from danger. You have seen and experienced the positive effects of goodness and the benefits of self-awakening. Now, you can expect even more. Open your heart, have faith and follow the golden light of goodness. Motivation to achieve continues as Mars in Aquarius inspires ideals and excites vision. Your naturally practical nature remains somewhat skeptical, however, and continues bringing it all back down to earth. Seek a balance between the two, nurture creative momentum as you proceed at a realistic pace. Keep an eye out for unusual investments, you never know! As voluptuous Venus wraps her visit in your solar 7th house of marriage, partnership and commitment, put some polish on your relationships. Demonstrate affection, express love and be willing to share your face and space with others. Refrain from criticism and focus on what you like, rather that what you don’t. Kiss loved ones and hug friends. The practical discourse and realistic discussions of the last few weeks have opened you up to the opinions and perspectives of others. While you may not always like hearing cold, hard facts and often brand it as negative or pessimistic, today you understand that it’s more about education. Join emotional detachment with compassion and acceptance. Giant planet Jupiter has moved into fellow fire-sign Aries for a six-month stay, hallelujah! This translates as a period of increased enthusiasm, inspiration and exploration. Say goodbye to winter blues and get out the travel books. Dream those dreams and think big. There’s nothing wrong with creative fantasy and sweet imagination. Enjoy the ride and have fun. Jupiter’s final jump into Aries opens you up to a prolonged period of psychological healing regarding your most intimate relationships and deepest secrets. This is a bona fide opportunity to shine light on doubts and demons, and bring darkness to light. You are being guided and supported by loving, angelic spirits. Trust your heart and keep the faith. 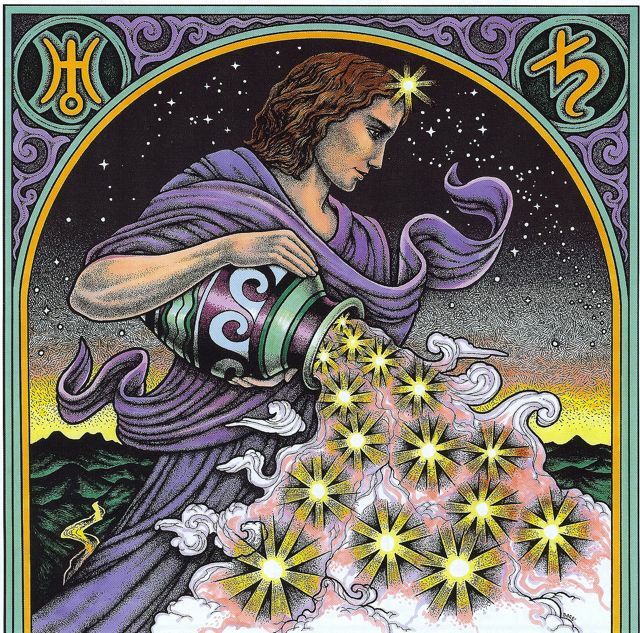 The Aquarius zodiac month is one of increasing hope, love and light. Your heart swells with solar rays and lengthening days. The advent of another seasonal cross-quarter day turns the corner on winter and spirits soar. Awaken to a year of good luck, good will and good fortune in your relationships. Be kind to everyone you meet now. Angels are among them. We often wonder why and how we got to where we are. And no matter where we go, there we are. It’s all a mysterious puzzle, one that must be accepted to be understood. The biggest magic is in being kind and gentle with yourself first, then shining the love outward, to others. Count your blessings and see your beauty, this month is full of hope and light. Shine on. Ruler Jupiter has made its final move into fiery Aries, igniting love and exciting desire. The next six months are full to the brim with sparkling romantic, creative and artistic opportunities. The challenge is in cultivating the self-discipline of focused attention and follow through. Banish procrastination and practice the act of completion. Finish! As your home and family expands, practice letting go of your compulsion to control. Whether it’s the menu or the momentum, relax in the moment and go with the flow. You are learning how to morph and shape-shift, transform and dissolve into authentic power - the power of the universe, the power of spirit. This is not an easy task and takes time. Don’t fight it. Happy birthdays continue as cakes are cut and candles flicker. It’s time to celebrate another revolution around the sun – you’re special and you know it! This year make sure you relax enough to enjoy the magnificent gift of life. Magic and mysterious, you’re here! Refrain from too much busy-ness and do whatever you like. Take a day for you and enjoy it! Sugar and spice and everything nice, Pisces is a sign of loving-kindness and compassion, the last sign of the zodiac wheel, evolved and at one with the Universe. Well, how about that? From evolutionary spirit to transcendental soul, embrace the cosmos and sparkle with the stars. You are beginning another amazing cycle of rebirth. Take good care of you! Having An Astrological Identity Crisis? Last week I received several emails – including one from my editor – asking me about the recent whoopla – apparently started or, at the very least, generated on Facebook – about astrological signs. "What’s going on? Am I really now a Leo instead of a Virgo? I like my astrological sign! I don’t want to be a Capricorn! I won’t do it! What should I do? What am I?” Indignation, confusion and disbelief – just a few of the emotions I’ve encountered since whatever happened, happened. The ethers have been bombarded with doubt. The validity and accuracy of astrology – our favorite “occult science” - is once again in question. And now, here I am down in Baja California, Mexico, no longer a recipient of in-house Internet, thinking just how much I’d like to log on to the New York Times and read the article I heard was published about this broohaha just days ago. Oh, well, crashing waves and swaying palms, what can I say? What I can say is this: Have no fear. Your astrological sign is still in tact, you do not have to change your sun sign. The truth of the matter is simply this, the Tropical Zodiac and the fixed star constellations, also known as the Sidereal Zodiac, no longer line up like they did 2,000 years ago – the Tropical Zodiac has “precessed” approximately thirty degrees in relation to its fixed star backdrop. This is NOT new news! 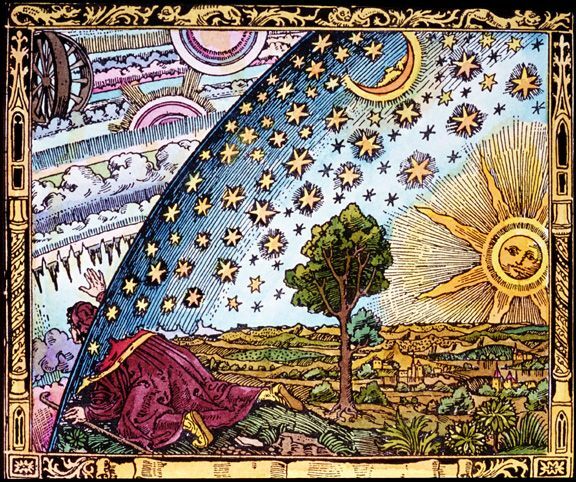 Although not fully identified or understood in the western world until the early 17th Century, but calculated for millennia in Meso-American cosmology - this astronomical fact is due to the celestial phenomenon known as the Precession of the Equinoxes. 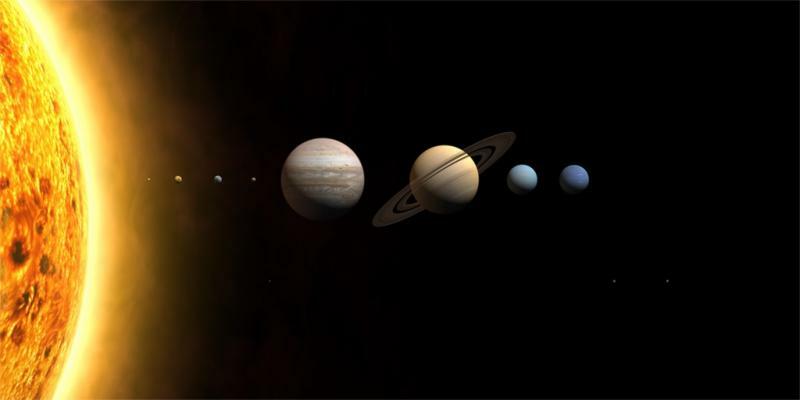 FYI: The Tropical Zodiac – the zodiac used in the traditional, geocentric astrology practiced in the Western world - is based on the cycles of the seasons and the Earth’s relationship to the Sun. It begins each year at the zero point of Aries – on Spring Equinox – when the Earth is at a point on the ecliptic [the Great Circle of the Celestial Sphere that is the apparent path of the Sun amongst the fixed stars as seen from Earth] when the hours of light and dark are exactly equal. Every year, when the Earth makes its annual orbit around the Sun and returns to the zero point of Aries, it is a little bit behind in its orbit to where it was the previous year. This is due to the Earth’s wobble, which is caused by the gravitational pull of the Sun and Moon upon the Earth’s equator, resulting in a slightly gyrated spin, slowing it down and causing what astronomers and physicists term precession. Over time, this changes the zero point of Aries in relation to the backdrop of the fixed stars, or Sidereal Zodiac. It does not change the Tropical Zodiac, or the relationship of the Earth to the Sun, or the seasons, or your sun sign. Precession of the Equinoxes is also what causes the shifting of an Astrological Age - taking place at approximate 2,000 year cycles - the approximate time it takes to precess backwards 30º in either the Tropical or Sidereal Zodiacs. Hence, the dawning of the Age of Aquarius, the Shift of the Ages, the New Age..........Don’t worry, you’re still a Pisces! Pushing through Capricorn can feel like a struggle for up-and-at-‘em Rams, roadblocks abound. Now that we’ve moved into air Aquarius, expect things to quicken and change. A big part of a happy life is surrounding yourself with people you admire and want to be like. Is that what you’re doing? Open your eyes and heart to the world of osmosis. Aquarius is a zodiac month of achievement attention and desire for the Bull. Be productive and maintain momentum, but be sure to enjoy yourself along the way. Inspiration is an important part of manifestation and creative juices must be replenished. Focus on what you like about your partners and mates, rather than what you don’t. Be happy! Love and money planet Venus shimmers romantic and financial enhancement into your life and relationships. Others are waiting and willing to give you what you want, just ask. Utilize caution and integrity in communication; be impeccable with your word. This is no time for loose lips or careless quips. Say what you mean and do what you say. You may discover deep, rewarding camaraderie and support in groups and gatherings this week. Be open and willing to walk through doors and enter rooms you normally aren’t intrigued by. This is a time for crossing new personal thresholds in the quest and discovery of your own authentic power. Keep the faith with courage, honesty and integrity. You’ve made it halfway through your solar year and are now moving away from months of personal focus into the broader realms of the social and transpersonal. It’s time to reach out, show up for others and be present in the worlds outside your door. And remember, you needn’t always be the life of the party. Just shine your light on love and let it glow! The winding road of self-awakening continues to twist and turn as you face the realities of your actions and decisions over the last few years. Pat yourself on the back for your magnificent progress and stay on the path. Self-discipline and responsibility are allies that bring you happiness, satisfaction and grace. Enjoy the moment and seize the day. As the Sun enters Aquarius and your solar 5th house of the creative, loving heart, relax and see the many blessings of which you are a part. The great good fortune of an inherently calm and peaceful nature is a gift of grace, a gift that must be given to others to keep. Share the beauty and maintain the bounty. Breathe deep and keep the faith. Being kind, loving and compassionate to you is where it’s at now. Recognize the power of self-love and nurture your spirit with self-care. You’re definitely the skipper of your boat and the driver at the wheel. Accept the responsibility of being you - just be and do your best – and let the universe take care of the rest. Open your heart and live in the light. You may be feeling more attractive and loving than you have in months, embrace the ardor and share the love. Venus is dazzling and dancing through Sagittarius, shining her light on those who see the wisdom of kindness, the joy of optimism and the beauty of peace. Communicate with hugs and kisses, smile and laugh as much as possible. Guardian angels and benefic spirits surround you with flower, dance and song, encouraging you to trust love and follow your heart. Sometimes the rent is late and bills pile up, but as long as you keep the faith and stay on a path of heart, you’ll get to where you’re going. Sound like a riddle or a fairy tale? It is, but so is life. Get up early and seize the day! Happy birthday month to wild, wonderful Aquarius! Your time has come to shine, let your dreams be on their way. And, dreamy it is as Neptune continues shimmering ethereal light upon your hopes and visions. The road ahead is unclear and the future unknown. Just remember that everything happens in the present, there is no wisdom in projection or assumption. Be here now, do the next right thing and trust in your heart. Jupiter and Uranus together in the last degrees of Pisces is like a last dance or hypnotic trance of awakening for the world. We are being called as brothers and sisters - children of Mother Earth and Father Sky - to see and feel that we are family. And here you are. Find the love and discover your essence in prayer. May all beings be happy, safe and free. As we reach the mid-point of January and the last week of Capricorn, holiday magic and mayhem flickers and fades. The last Christmas decorations are taken down and put in boxes, packed away for another year. Winter solstice has come and gone, the days have grown slightly longer and poco a poco - little by little - we inch our way toward spring. This is a time of resurrection and redemption, even as we face the daily chores and realities of our finite, 3D lives. Waning Capricorn prepares us for the inspirational, vital charge of Aquarius – new ideas, new hopes and dreams – and requires a practical, realistic assessment of where and who we are, what we’re doing and how we’re doing it. Physical and material worlds must be addressed - our bodies, our finances - our actual physical health and material security. Over the next few days, consider your current status and then flash on your most cherished hopes and dreams. Somewhere there’s a shimmering, shining path to that exact location. Breathe deep and do the next right thing. Live in the present - one day and one step at a time - working with persistence toward your dreams, traveling the road of happy destiny. And remember, perseverance furthers! May your road be safe and your burdens light. Happy Capricorn/Cancer Full Moon! 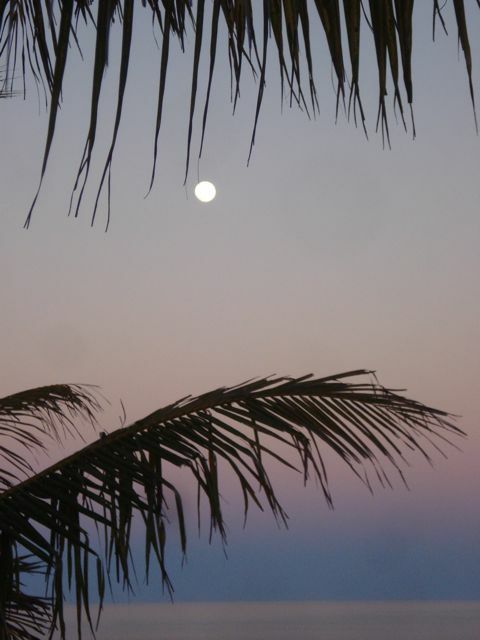 Another Full Moon at the end of a sign indicates you are stretching to finish up business from the past. With all planets in forward motion, this is a very good time to make progress in the present. Embrace the powerful initiative to change yourself and your life at this auspicious point by taking total responsibility for it. Think positive and be good! The upcoming lunar fruition in Capricorn/Cancer shines light on the world and its many cultures, economies, political systems and religions. While you may not like what you see, remain personally conscious of your part and place in it. Combine spiritual magnanimity with realistic practicality. Self-nurturing is a theme, be good to and take care of you! While you continue to feel the strong personal effects and emotions of the recent and now-ebbing eclipse cycle, take time to slow down and really see what’s going on. A spiritual warrior is one who finds a path of heart and follows it, no matter what. 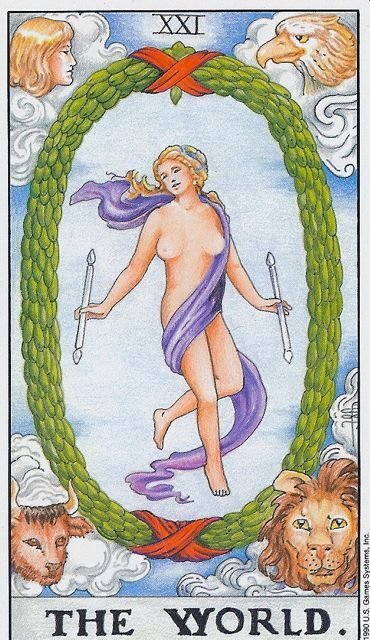 The mutability of Gemini may pull you off-course here and there, but you always return. Stay on the path. Coming to fruition at the last degree of Cancer/Capricorn, the Jan. 19th full Moon is unusually auspicious for Moonchildren. You may feel a deep sense of completion or culmination, as you reach the end of a long cycle of relationship attention and commitment. Your roles and responsibilities have changed in regard to others. Focus on balance and cultivate peace. 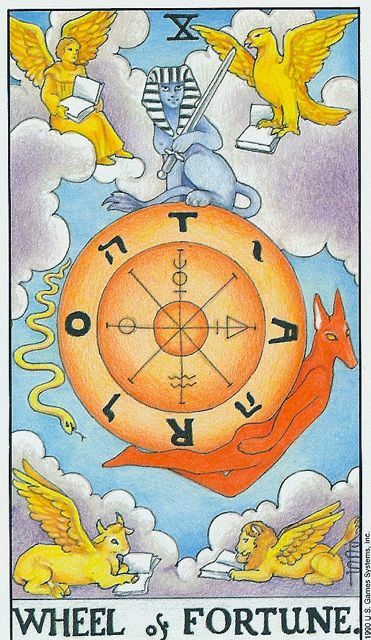 Authority and nurturance are themes this week as the Moon grows full. Maintain healthy contact with parents, bosses, children, family and friends. Focus on staying in the present rather than reliving the past. Pay attention to what you say and what you do – consider the karma of your actions. Forgiveness and compassion are allies, embrace and use them. Friends and fellowships prove priceless this week as you rediscover the power of camaraderie and common interest. Get involved in support groups or social networks as a means to an end. Sharing experience, strength and hope is where it’s at now; help comes via helping others. Honesty and personal courage are essential to success. Be brave and stay true. You may feel inner conflict or personal stress as forces on the outside – other people, places and things – behave and/or act in ways you simply cannot agree with or condone. Remember that it’s not your job to save or fix the world. Focus instead on your own self-nurturing and progress. Get plenty of rest and take care of what needs taking care of – you! The practice of good communication skills is essential to satisfaction and success this week. No matter what you’ve done or where you’ve gone, you will make great gain by being attentive, listening to others, processing the information and responding with calm, practical, realistic strategies. Recognize the gold of silence and be impeccable with your word. Surviving the holidays and easing in to the Capricorn New Year is forever a test and trial for the Archer. Were you calm, cautious and collected this season or over-the-top and down-at-the-bottom, depending on the people, places and parties you were exposed to? Whatever the case, now it’s time for personal responsibility and practical acts. Smile, the world awaits you. Pay attention to the events, experiences, emotions and personal awakenings that take place all week, as they are keys to your upcoming year. The people with whom you partner and interact have great significance now. Maintain a practical, realistic attitude but cultivate compassion with others. You’re the one who needs to change, not them. With Neptune and Chiron still so closely united in your sign, this week is certain to be one concerned with health and spirit. Whether it’s you or someone else, you can honestly see today the advantage of clean living and positive thinking. Getting up and at ‘em, doing your chores and maintaining a daily spiritual practice is where it’s at. Nice! The Capricorn/Cancer polarity is all about authority and dependence, power and powerlessness. It’s here we are called to understand the karma of action and consequence, as well as the difference between helping others help themselves and enabling them to continue self-destructive, dysfunctional or unhealthy behaviors. You know what to do, just do it! I’m always impressed by the difference between the energies of the New and Full Moons of each lunar month – especially during eclipse cycles. For me – and everyone I’ve talked to who witnessed it – the recent winter solstice total lunar eclipse was packed with an unbridled cosmic power that seemed to connect and resonate throughout both the celestial and individual body and soul. It was difficult, if not impossible, to pass unnoticed due to the plethora of media coverage, and of course, word-of-mouth, on the street shuck and jive. I, personally, was able to watch the event from my rooftop deck on a foam pad with blankets and a pillow, dozing and watching on-and-off in supreme comfort and bliss. Lucky me. I’ll never forget it! The Moon was directly above us at midnight here on the Tropic of Cancer, unbelievable! But, then, I’m an astrologer and I deserve it, right? Right! "How auspicious! On the day of the Solar Eclipse, Jupiter and Uranus meet. They’re conjunct in dream-weaver Pisces. Together Jupiter and Uranus bring growth, change, expansion, and breakthroughs. Their conjunctions, occurring every fourteen years, coincide with discoveries and great forward leaps. What an inspiring way to begin the year! These are challenging times, but like cheerleading guardian angels, the two sky gods are sending a message. They want us to dream big. 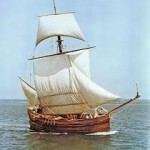 They want us to imagine ourselves excited and brave as we set sail, individually and collectively, towards a new world. Soon both Jupiter and Uranus will enter Aries: the sign of adventure and courageous initiatives. This Spring I suspect we’ll be seeing a plethora of action movies with plucky heroes and heroines. That’s one way our collective unconscious will be dreaming us into bolder versions of ourselves. Next year, Uranus and Pluto will begin their explosive, revolutionary square. 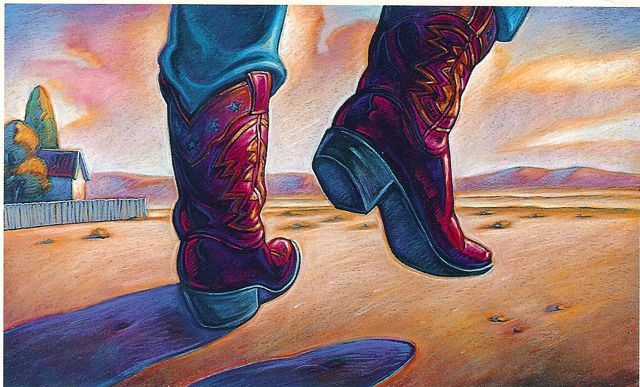 If we raise our courage in 2011, we might lasso that energy and accomplish something amazing." Good luck and may the Power of Potential and the Big Dream be with us all! The fresh new start of a powerful lunar eclipse cycle and New Year encourage down-to-earth practicality and a calm, cautious approach to life. Be realistic about money, sit down and pencil out your credits and debits. It’s time to work the math and balance the equations. You’ll discover you don’t need the puff and fluff. Enjoy peace of mind instead. The solar eclipse Venus trine to Jupiter and Uranus starts the year with amazing grace and unlimited potential regarding personal behaviors, interactions with and commitments to others. The power to change, heal, expand and initiate relationships is with you. Temper previously experienced pain with compassion and forgiveness - one day at a time. With all planets now moving in forward motion – including mobile messenger Mercury – you may feel the world rock n’ roll or hear the celestial music of the spheres. Whatever the manifestation, tune into the sights and sounds filtering through the cosmos, into your heart and home. A year of great creative accomplishment awaits you. Breathe deep. 2011 begins with a powerful solar eclipse and an awesome Venus, Jupiter, Uranus alignment that forms a grand trine to your sun, paving the way to a year of great opportunity and accomplishment. Important relationships and long term commitments have entered a metamorphic, transformational process of death and rebirth. Above all, follow your heart! Ongoing, long established personal relationships with mothers, sisters, lovers and children may finally have come to some sort of breakthrough or happy place as sweet Venus trines good luck Jupiter and life-changing Uranus. It may all feel too emotional and ooey-gooey, but keep the hearth fires burning and the door open. Focus on health and self-betterment. The New Year breaks with heartfelt clarity and an imperative for change in your relationships. It’s time to be brutally honest regarding how you show up for and what you want from others. Identify personal behavior patterns that may be self-defeating, destructive or potentially harmful. The cosmos supports positive, healthy actions. See the light and embrace grace. There are amazing, awesome opportunities in 2011 for those who see the beauty, grace and power of self-improvement. Maintaining focus in this regard, establishing and committing to a daily practice of spiritual and physical wellness is the very best thing you can do for yourself and others this year. Good luck - may the force of grace be your guide. Are you feeling blessed and beautiful, as the stars portend? Are you embracing hope and change? The coming year presents the Scorpion with a variety of shimmering paths regarding personal enlightenment and happiness. The next two years demand a totally restructure of your spiritual life and understanding. Get in the game and practice daily. The powerful lunar eclipse in the last degree of Gemini/Sagittarius still resonates with awakening and awareness regarding personal self and others. How you show up, what you do and how others react or act in relation to your behavior continues as a powerful theme in 2011. Pay strict attention to how you feel and what you do. Make changes accordingly. This is your Happy Birthday month and annual beginning. Adding extra oomph is the Jan. 4th solar eclipse, which marks this year as an important personal spiritual resurrection and transformation. You are in the initial stages of a metamorphic, once in many lifetimes rebirth and it is not to be taken lightly. Witness the force of karma and simply do your best. You have finally arrived at a point of spiritual understanding and compassionate living - even the bad guys have a purpose. Knowing this, you can move ahead, one moment and one day at a time, practicing acceptance, honesty and loving-kindness. A rather fortuitous year of accomplishment awaits you. Embrace the power of choice – make it good! Can things get better? Even while you might complain about this or that, you know you have it good – better than most – far and away above the masses. The key to your brilliance is based on knowledge, experience and – ultimately – compassion. Stay focused on personal goals and practice the art of patience. Explore, expand and discover – choose joy! Well, here it is, the end of another calendar year, another revolution around the Sun. The high-minded, altruistic energy of Sagittarius has morphed into the more traditional, practical-minded energy of Capricorn. We face the finite reality of Christmas costs and spending, look at credit card charges for gifts and holiday travel expenses, gather our wits and prepare for the last blast of New Year’s Eve. 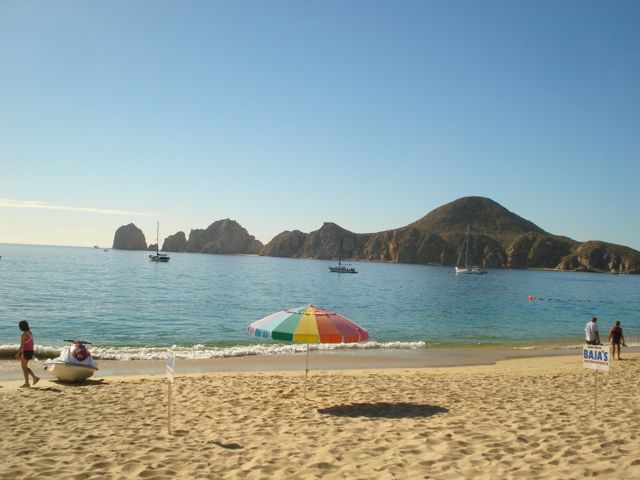 Today, I’m living in a beachside palapa on the Sea of Cortez, whales spout and fish jump, the ocean breeze cools the hot Mexico sun to temperatures in the 70’s. 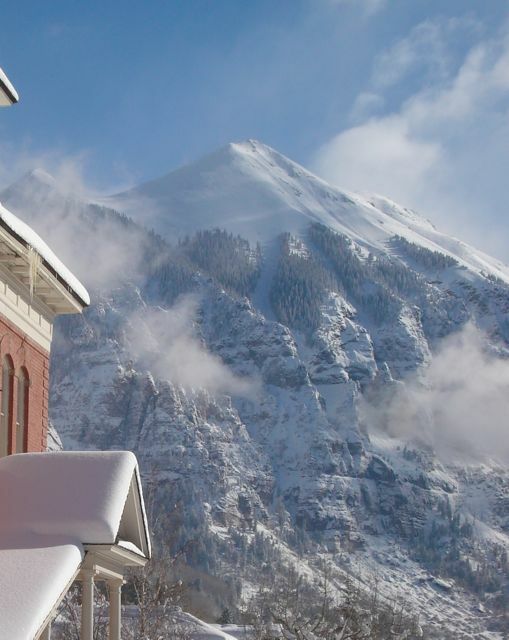 Back home I hear of abundant snowfall in the Rockies, but that Telluride is still waiting for their first big dump. I know well the call of the mountains, the pristine white of first tracks and the magical sparkle of snowflakes glistening in the slanting solstice sun. 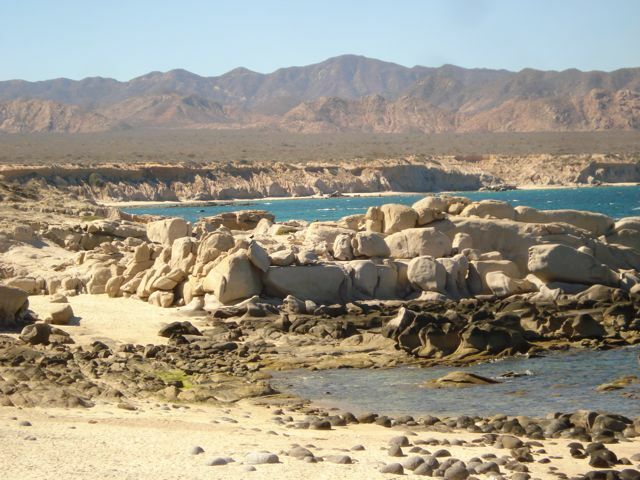 Years ago, my husband and I migrated to southern Baja for the winter and made a quiet little village on the East Cape our home. Snorkeling replaced moguls, fresh-caught tuna replaced homegrown elk, salsa replaced ketchup and Pacifico replaced Coors. 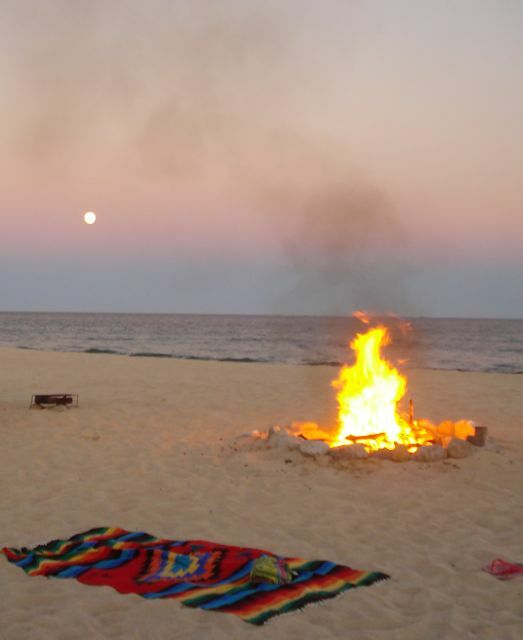 In those days, we christened the New Year with Christmas lights on cactus, tortillas, shrimp and fireworks, bonfires on the beach, cassette tapes from home and the sweet guitars of the Mexican pescadores – fishermen – our new amigos and compadres. This year, I’m an older - and hopefully wiser - version of the woman I was 20 years ago. 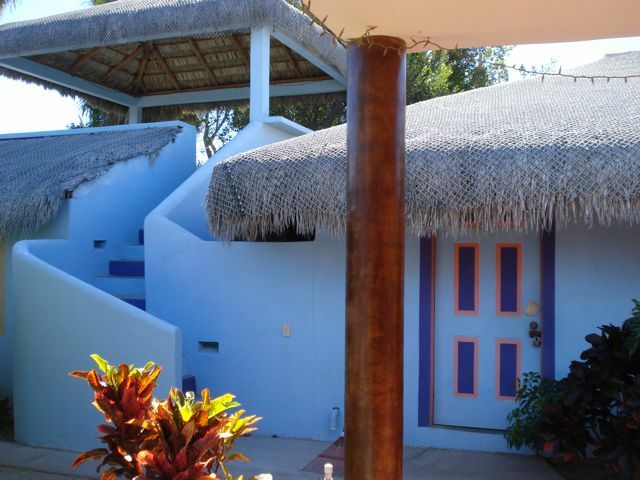 We sold our Cabo Pulmo casa to a good friend shortly prior to the New Millennium, and since then, have ventured to other countries and continents. But Mexico still holds a certain mystique for me. The vibrant colors, aqua waters, desert landscapes and tropical jungles; the spicy mariscos, succulent fruit and open-hearted corazones of its people still intrigue and entice. And, so, here we are, once again, returned to a place of gratitude and grace, peace and tranquility – es muy tranquilo. Still living, still loving, still travelers on the road of life. Happy New Year – may your journey in 2011 be bountiful, beautiful and filled with all the peace, joy, happiness, love, productivity and prosperity you desire. 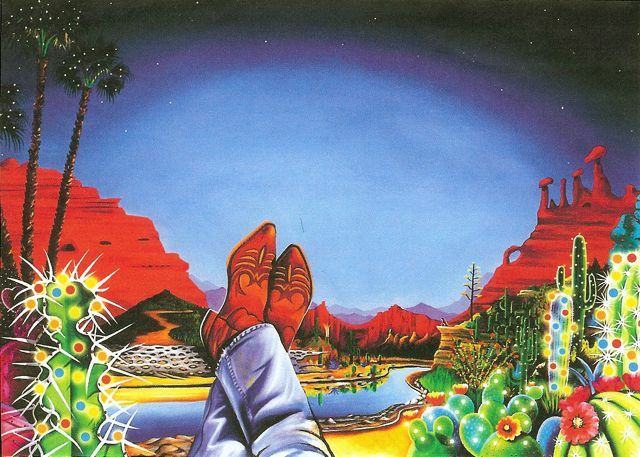 Blessings to all…and as they say south of the border - Feliz Ano Nuevo! Mercury - planetary trickster and magician – resumes forward motion on Dec. 30th and the smoke and mirrors of holiday cheer and fear dissipate. Before you lies a new year, glittering with promise and paved with possibility. Recognize the extreme power of action and the consequence of karma. Everything – everything! – you do counts. Make it for the better. The upcoming solar eclipse in fellow earth sign Capricorn is just what the doctor ordered. It’s time to move past holiday leftovers and hangovers and start fresh. With good intention and higher-self awareness, identify where you want to go this year. Look at maps, read the books and get advice from people who have done what you want to do. Remain open. Ruler Mercury played a starring role in last week’s solstice eclipse, even if the billing was nonexistent! C’est la vie, how often have you been in that position? Now, it’s time to laugh at the fanfare, remove the clutter and get serious about the road ahead. There’s plenty of work to be done and – lucky you! – plenty of time to do it. Get busy and focus. Get ‘er done! Recovery is a priority now as eclipse energy continues. Whatever emotions or realizations you experienced over solstice, remember that awareness is only as long as it lasts. Rather than getting caught up in maudlin self-pity or fear of the future, count your blessings. Stay in the present and take of what needs to be taken care of. That means you! You may feel a bit twisted and turning as the year ends and a new era begins. Ecliptic energies are powerful and the world turns at a phenomenal speed, in spite of your greatest efforts to slow it down. The best strategy now is to step back from the fracas and focus on self-improvement. That, you can control! It’s time to lead by example. Capricorn energy has a calming, centering effect on the sometimes nervous or hyper tendencies of the Virgin. The holidays can take their toll and often what’s needed is rest. Focus on stability and routine as you prepare for 2011. Feel the power of love in and all around you. Recognize how far you’ve come over the past year. Congratulations, you’re worth it! There’s no way around it – planetary squares to Saturn in Libra are certain to push buttons and pull pigtails. Whether it’s in the classroom, boardroom or bedroom, other people and the rules of engagement force attention, change and action. The good news is that you’re fully present, clean and sober to do it. Life is real today and you’re in it. Good luck! Vixen Venus has entwined and intrigued you for months, spending an extra-long period of time in your sign. Now that she’s almost done with your make-over, how about a kiss good-bye? Great and sudden opportunities beckon change. Grab the golden ring and embrace the sweet love of self-love. With humility and grace, share it with the world. If you feel like you’ve been shaken and awakened by cosmic forces, don’t feel like the Lone Ranger. The entire world is aligning with the Galactic Center and being charged with electromagnetic light. Practice the art of centering - calm down and find a quiet place and space in which to find and feel your center. Carry that inner peace with you, wherever you go, whatever you do. The Jan. 4th solar eclipse marks a major milestone and turning point for the Mountain Goat. Career and social standing are in a serious process of re-creation as you continue on the metamorphic road of personal rebirth. Stay open to all that comes and be willing to let go of everything – especially dogma and belief systems – as you are truly being reborn. Numinous Neptune and chronic Chiron maintain a super-close conjunction in your sign, along with Jupiter and Uranus in Pisces. Expect a wild and exciting week, with plenty of time to enjoy it. Money, love and pleasure are themes, but keep your eyes and mind open when it comes to new career pathways and professional endeavors. Be ready and willing. Spiritually generous Jupiter and wild, exciting Uranus are exactly conjunct in late Pisces at the time of this week’s solar eclipse. This translates as a time to put the finishing touches on the new, updated you. Close the door on all that you longer want or need, get rid of old behaviors and habits that no longer serve you well. You’ve arrived! Amidst all the hype, hustle, bustle, commercialism and chaos of Christmas - and I use the word Christmas, even though it’s no longer politically correct and doesn’t really capture the broader spectrum of the word holidays – there is always the underlying message and meaning of this very special time of year that seems to filter through my mind and senses in to my heart and soul. For me, it really is all about love and spiritual generosity, peace and good will to all. 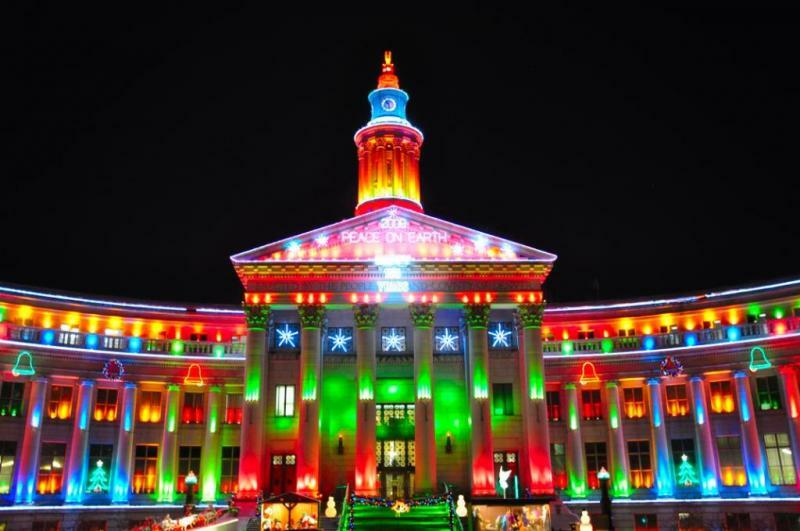 I find myself thinking about the most silly and sentimental times, childhood with my family – going up in the mountains to cut our tree or the decadent chocolate mint pie we made for dessert, struggling to earn and save enough money to buy presents or driving downtown to marvel at the magnificent lighting display at the Denver Civic Center. There is something humbling and graceful about Christmas, something that somehow, some way brings out the best in us – even if it’s short-lived and squeezed between the mumbles and grumbles, stress and duress that we also somehow seem to experience at least once or twice this time of year. With the advent of winter solstice, the season of ice and snow has officially begun. Big-hearted Sagittarian generosity and over-the-top celebrations turn toward the traditional and time-honored. 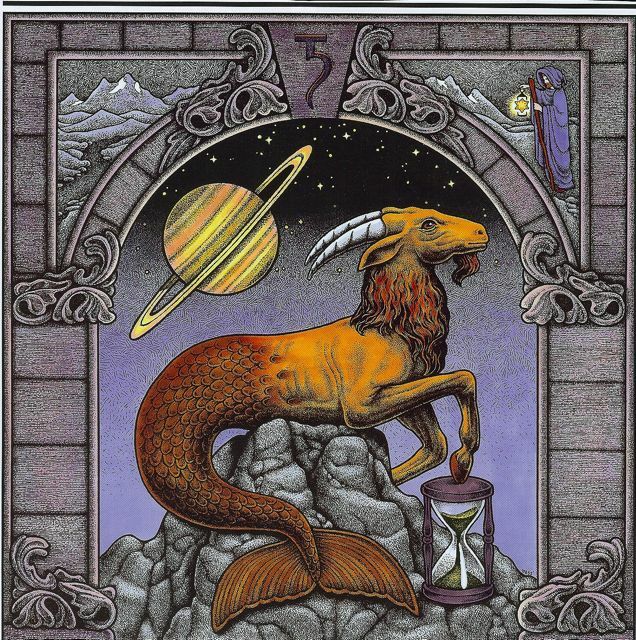 Capricorn energy favors long-established customs and beliefs that have been handed down from generation to generation. We practice the art of giving and receiving, exchange gifts and feast with family and friends. We understand the value of security and stability, a crackling fire, a warm heart, home and hearth. And Santa is, after all, a jolly old patriarch that has plenty of resources and elves to manufacture toys and treats up at the North Pole - along with a very nice wife - a magnificent sleigh and a sturdy pack of reindeer – all Capricorn-ruled. Even the chimney is made out of bricks! So, as we move through Christmas Eve and Christmas Day, let us count our blessings and be especially gracious to those we meet and those we love, honor our home and happiness, respect our ancestors, fathers and mothers, and hug our brothers, sisters, aunts, uncles, nephews, nieces, in-laws, cousins and friends. 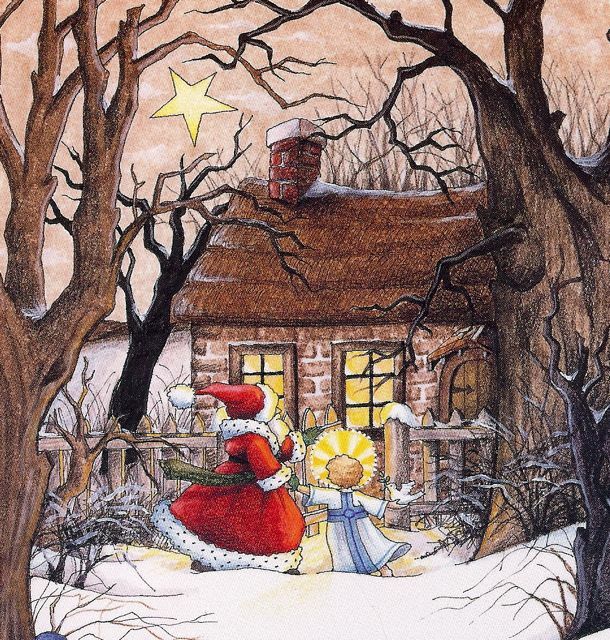 Merry, merry Chirstmas….Peace on Earth and Good Will to All! It’s Christmas week and, this year, you can’t help but think of Christmas’ past. Indulging in a little nostalgia here and there is fine, but just don’t get caught up in the quicksand of emotionally charged sorrow, self-pity or regret. Powerful personal changes continue and it’s imperative to focus on blessings, gratitude and goodness. Reach out to others, give love. With all planets in collective signs and Christmas fires blazing, you may feel powerfully drawn to engage and interact with others. Fulfill family obligations and responsibilities, but take some time to get out and about in the festivities and fanfare of the season. Giving to or being of assistance to those less fortunate is deeply rewarding. Share your heart. Christmas week promises to be one of relative challenge and caution for the Twins. That said, you might be wise to lower your expectations and accept what comes. Your own or other’s insecurities must be met with patience and calm. Recognize the fleeting quality of emotion and maintain composure amidst the clouds. Focus on the good and relax. Christmas and New Years fall smack, dab in the middle of a powerful eclipse cycle, assuring us that we’ll all be aware and awakened, no matter what. In light of this collective and individual awakening, you may find yourself wanting something new in relationships, redefining your desires and re-forming your goals. Feel and follow your heart, it knows the way. With the Moon in Leo on Christmas Eve, you may find yourself center stage, the belle of the ball or the queen of the castle. Take it all in stride and remember the grace of compassion and humility. Others may not be as confident, powerful or passionate as you are. Refrain from reckless behavior and careless speech. Focus on spiritual generosity and true love. On Christmas Day the Moon moves in to Virgo, shining a rather down-to-earth practicality and order on yuletide feasting and festivities. Take a deep breath and remember to be calm, gracious and authentic. Help others bring order to chaos and be of assistance whenever possible. Giving time and presence is the truest gift of all. And you can do it now! Christmas Eve, Day and week may feel unusually different this year. Whether it’s a foreign country, a unique environment or a powerful change of heart, you are evolving toward a breathtaking new reality and era. Focus and productivity are key ingredients for what fuels your desires now. Take it in and know all is as it should be. Just do your best. You may feel the powerful pull of other people’s desires and agendas this week, all the while wondering, “What about mine?” No worries, the world is turning in perfect harmony with your greatest visions and most cherished dreams. Of course, you must let go of your attachment to the outcomes for them to manifest. Enjoy the present, moment by moment. Merry, merry Christmas to the Archer! High-minded action, generous gratuities and over-the-top indulgences are fun and fantastic, but now it’s time to pull back on the throttle and set the cruise control. Practicing the art of patience and the skill of quietude pays dividends now. Give respect, and you get it. Show up and be present. Embrace family and choose joy. You may experience nostalgia as Mercury retrogrades through your solar 12th house of the past this week. Memories of childhood, Christmas’ gone by and loved ones who are no longer here or absent somehow dance dreamily through your heart. Flash on the present and embrace the day. Count your blessings and be here now. Feel the love; create the dream. 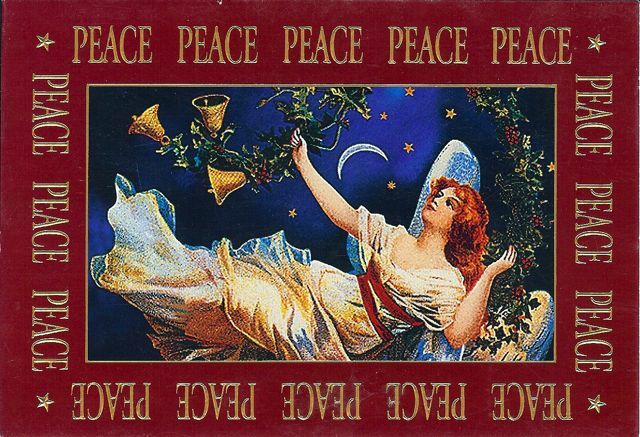 “Peace on earth, good will to all” is a saying that reverberates throughout the holidays. Humanitarianism and brotherhood are Aquarian ideals. This year and week, why not live up to your birthright and give from the deepest, most altruistic part of your heart and soul? Share your presence, love and power with the world. Shine your light. As Jupiter and Uranus move toward conjunction in late Pisces, gather your forces and calm your heart. You’re a master magician and prince-princess of peace, whether you consciously realize it or not. This life and these times beg for the mercy of enlightened beings, people of compassion and grace. Do your best to help the rest. Just be you and lead by example. This week is big for all of us. Winter solstice and the last full Moon of 2010 – which also happens to be a total lunar eclipse (visible in all of North and South America) – coincidentally occur on Dec. 21st. A synchronistic ending and new beginning - the fruition of the December lunar eclipse cycle and the initiation of winter - take place at virtually the same time this year, heralding a cosmically charged celestial event, an energetic manifestation of ethereal regeneration and rebirth. Old patterns and fresh paths dance in circles of redemption and resurrection, life and death merge in an evolutionary process of energetic re-creation. Out of the ashes, from dust to dust, the alpha and the Omega. Biblical sayings and spiritual teachings, chaos theory and quantum physics, magic and miracles, angels and avatars gather as the shortest and longest days and nights of the southern and northern hemispheres fall in harmony with the exact opposition of the Sun and Moon. Our greatest expectations, most cherished dreams and most vivid memories collide in a process of reawakening and reinvention. We are at once aware of and in touch with the eternal partnership of polarities and are asked to see the inherent necessity, beauty and balance in and of them all. The third of five full Moons forming at the last degree of a sign, the Dec. 21st total lunar eclipse is another mandate for universal compassion and wisdom. Much like Pisces - the last sign of the tropical zodiac - the final degree of a sign indicates the sign’s most evolved state or energetic imperative. Taking place at 29º Sagittarius/Gemini, the world and its inhabitants are slipping into an electromagnetic force field that opens portals, shifts grids and spirals dimensions. Now within 3º of the Galactic Center, the winter solstice Sun shimmers with shades of Mayan cosmologies and prophetic foreshadows of 2012. Truth, Natural Law and the phenomenal world-in-total are the birthmarks of Sagittarius. Teaching, preaching, expanding and exploring are its pastimes. Ruled by Jupiter – planet of sages, gurus, saints, avatars and angelic beings – Sagittarius calls the higher-self to the pursuit of right action, ignites passion and fuels goodness. Gemini, ruled by Mercury – planet of tricks and tests, medicine, messages, magic and motion - is primal mind, first thought, curiosity, communication and learning. The celestial union of these two polarities joins apprentice with master and coyote with crusader. It’s like putting the brightest, most eager student in class with the most brilliant, learned professor – the novice and the expert - sparks fly and fires burn. Knowledge and experience are shared, great things happen. It is here we see and understand the thin line between sinner and saint. We rise above judgment and intuit the dependence of one upon the other, equals in existence and experience. We are being asked to join the parts of ourselves that have knowledge and foresight with the parts of ourselves that have none, listen to those who have more experience and knowledge than we do, cultivate divinity - inside and out - and explore new, spiritually inspirational paths. 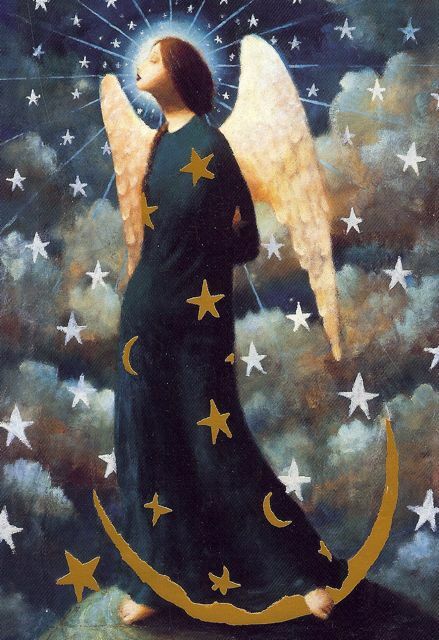 Calling all angels, it’s time to rise to the highest heights, touch the stars, ride the moonbeams and rock the ages. Dark and light, boy and girl, war and peace – may the Great Mystery embrace, direct, protect and guide us upon journeys of inspiration and paths of heart. Happy Full Moon Eclipse and Merry Winter Solstice! Honesty, integrity and credibility stand as a magical trinity of virtue as the winter solstice eclipse shimmers moonbeams of hope and possibility into your heart and soul. Life is an equation of action and consequence. If you say you’re going to do something, do it. Recognize the power of your word and use it impeccably. Focus on goodness and do the next right thing. Wisdom and compassion come in handy this week as you approach a major crossroads in your relationships. Hanging on to resentments causes personal pain – it’s like taking poison and hoping the other person dies. Consider a practice of detoxification – letting go of what hurts. In the quest for happiness, we often create misery. Let go and live free. A late degree Gemini/Sagittarius lunar eclipse demands honesty and integrity – no fudging, no white lies, no delusions or dogma. Gemini shadows lurk in the darkness of duplicity and amorality. It’s easy to fool or trick others, be clever and manipulate outcomes. But, ultimately, it defeats happiness and success. Embrace courage and be true to heart. The cosmically charged, galactically generated Gemini lunar cycle comes to fruition in a winter solstice full Moon eclipse, shining rays of spiritual awakening upon us all. For Moonchildren, this opens a magical portal of angelic presence and possibility. Look to the heavens and see the stars. Find the best within and let it shine upon the world. You are blessed. With all planets - except the Moon - in collective signs, you may feel the magnitude of the masses weighing heavily upon your soul. Taking things personally is one of the Lion’s most poignantly beautiful flaws - you wish you could change the world with a wave of your wand – but, alas, you cannot. Courage and heart are gifts of power and grace. Shine on. You may feel the awesome power of the cosmos as galactic energies shift and align. Remain calm and virtuous, no matter what. 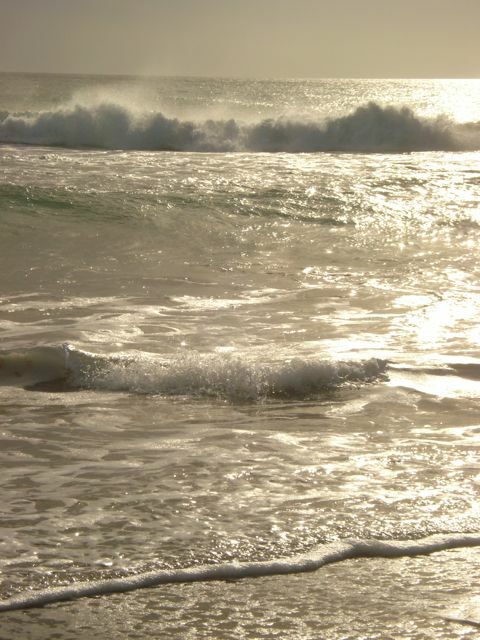 Rising tides and stormy seas make for wild adventure and great challenge. This is when we see the mettle and the mustard. You are competent, clever and capable. Stay on course and ride the wave. You shall emerge victorious. The third of five last degree full Moons takes place on winter solstice, and it is also a lunar eclipse. Force fields shift, new pathways emerge and old networks dissolve. As you stand upon the brink of transformation, look deeply into your heart. What is most precious and alive? What injustice or causes evoke the most passion? Listen to what you feel and follow its wisdom. Planet Venus returns to the degree where it stationed retrograde in early October – 13º Scorpio – as the Sun and Moon exactly oppose each other in a total lunar eclipse. This portends a major breakthrough and release of fear and doubt. You are being awarded the great good fortune of new hope, unlimited possibility and unbounded freedom. Embrace it. The shadow of Sagittarius is arrogance, fanaticism and overindulgence, while its glimmering, shimmering light emanates from truth and knowledge, exploration and discovery. The time has come for higher-self living and being. Tap into spirit and rise above your life. See the bigger picture and observe the possibilities. Be your best, do what you can. You may feel strongly attracted to something or someone as galactic magnetism pulls you toward paths of destiny. Awaken to the power of truth and follow your heart. Focus on the basic goodness in yourself and others as you look for positive solutions to old problems. Foresight, creative intelligence and the perception of patterns are allies. Break out! Angels and demons gather in real and virtual worlds as planets align and gateways open. Illumination and balance are characteristic mandates of lunar fruition, while integration and assimilation are the results. The solstice lunar eclipse asks for spiritual cleansing and physical action. Surround yourself with the best of influences, act wisely and live well. 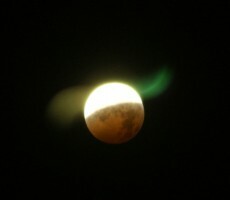 Another big lunar fruition for the Fish manifests in the year’s last lunar eclipse. Taking place in late Gemini/Sag, with key planetary players in late Pisces, it’s one that reverberates great power and potential for awakening and change. Look for patterns and identify denial. Truth and honesty are allies in the battle of spirit. Maintain compassion and exercise strength.